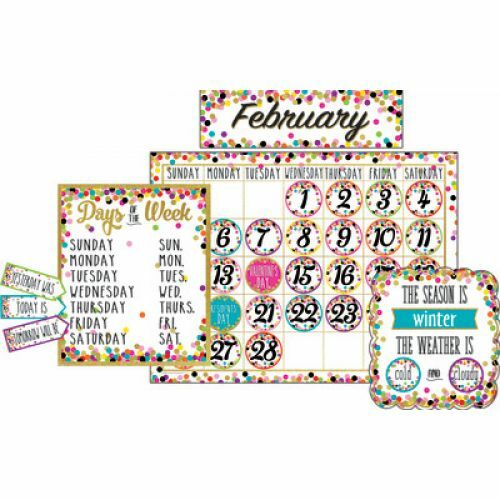 This stylish calendar display comes with easy-to-read number pieces, colorful monthly headers, and additional pieces for holidays and special occasions as well as yesterday, today, and tomorrow. Blank calendar measures 24 x 18. 84 pieces total.